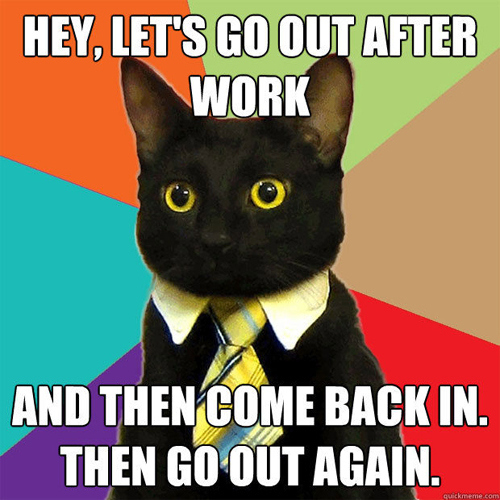 Jason went, and that meant because he didn’t have to commute he could sleep later than he wanted to. I of course had to leave on time which means I resorted to my time-honored way of communicating when the spouse is sleeping: chicken cartoon. Jason can't get over the CHK-2 D-2 robot! I admit I tried to go for a “Business Cat” -like representation of Business Chicken, which is nothing like she appears in real life of course. 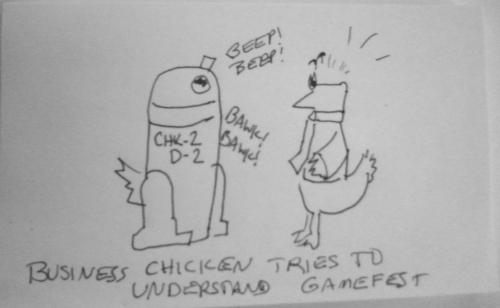 This entry was posted in Uncategorized and tagged Chicken Cartoons, Chicken Tech, gamer chicken. Bookmark the permalink.